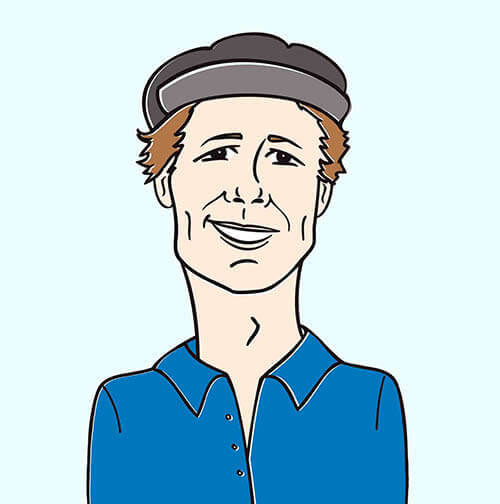 Hi everybody, it’s Andy Gesner and the staff checking in with yet another high profile indie rock buzz band and their terrific new video! January 2004 has been an amazing month here at HIP Video Promo and we truly appreciate all your support and appreciation for artists that have to fight a little harder than established acts to create a buzz. For Hot Hot Heat, creating a buzz has been the least of their concerns! This Canadian quartet’s name has been on the lips of indie hipsters and unsuspecting music fans since October 2002 when Sub Pop Records released their brilliant debut full length Make Up The Breakdown: a triumphant, angst ridden display of catchy songwriting prowess. Since then the band has signed on with Warner Brothers and made impact worldwide with their first two videos, “Bandages” and “Talk to Me, Dance with Me”. Thanks to our friend and inspirational cohort Megan Jasper at Sub Pop for getting HIP Video in on the Hot Hot Heat action! Unafraid to wear their influences on their sleeves, Hot Hot Heat mesh all the finest points of late 70’s new wave audacity (The Cure, Elvis Costello, The Undertones, Squeeze) and create tangible tension that the kids of today can completely relate to. Hot Hot Heat has always had the keen ability of creating awesome, insightful videos, but in the case of this of this quick, quirky and suspenseful animated clip, the third time is definitely a charm! In the past, the phrase “roller coaster ride” has been perhaps overly used in a wide variety of contexts, and I’ve been as guilty as anyone. In this case, however, it’s literally true. The frame story of the new Hot Hot Heat video “No Not Now” is chiefly composed of a bizarre chase scene through an amusement park that looks like something out of a Fauvist’s fever dream. A leather-clad femme fatale type is attempting to spirit some mysterious object out of the park. She’s pursued with Keystone Kops ineptitude by a band of scruffy rather than cuddly characters in bunny suits. Directed by MK12, the video is colorized in a cartoonish way, but it’s by no means vibrant or lively; more like a subdued watercolor than ink on newsprint. As the pursuit continues, both the action scenes and the performance sequences are fluidly blended. Both are shot from jarringly nonstandard camera angles, although the camerawork and the image processing and animation are interdependent and symbiotic. 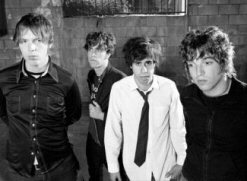 Musically, the song features a dovetail joining of several rather catchy segments highlighting Steve Bays’ insistent counter tenor voice and an almost Attractions-like devotion to slightly disjointed riffs and the Hammond organ. This is just one of a number of near-anthemic tracks on the Make Up The Breakdown CD that display this Canadian band’s versatility in absorbing and retooling almost all of the stylistic highlights that punk and New Wave have gone through since it’s inception in the mid-70s.